A family get together can be a really great way of seeing family members that you have not seen for a while. A get together can also be a great way of connecting with each other again, and sharing stories and news since the last time you all saw each other. 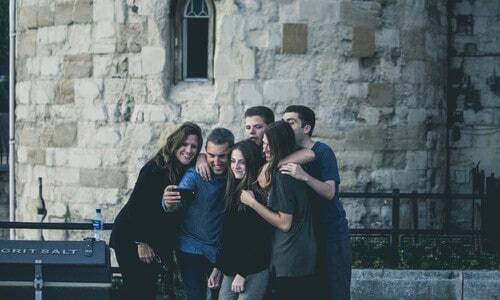 With big families, a get together is especially important as, more than likely, everyone is living in different places, far away and near, and the only way you have all been able to keep in contact is through video calls, text messages and phone calls. There is nothing quite like seeing a dear family member face to face for the first time in a while, and catching up about everything that has gone on. It is important to keep up with each other’s lives. Even if you have a relatively small family, it is still good to get together and see each other properly before your lives get busy again. However, whoever is hosting the get together has a lot of things to deal with before everyone arrives. If some family members are staying overnight – or for a few days – then rooms need to be prepared, bed linen washed and dried, and the rooms need to be cleaned and tidied up. There is also the case of food having to be prepared, and this can be an incredibly stressful aspect in itself. Catering for different diets, allergies and fussy eaters means that there may not be an opportunity to prepare the same meals for everyone – meaning more time needs to be dedicated to preparation and serving of the food, so that it impresses everyone and is enjoyable. A family get together is also a really timely and dedicated way to show your appreciation for family members. This may mean buying them gifts, cards or just generally thanking them for all they have done for you. If you are going to buy gifts, make sure that the gift will be appreciated and will show you have given it a lot of thought. If a family member has a sense of humour, you could buy the best custom bobblehead that you can find; if someone likes literature, buy them a rare edition or a favorite edition of a book; if someone is into sport, buy them a jersey of their favorite team or tickets to see a game. All gifts will be appreciated, of course, but for them to make a lasting impact they will need to be thought about and researched before they are bought. A family get together doesn’t have to be stressful. If you are hosting, and all the preparation is done a few days beforehand, then you will be free to enjoy yourself and relax. Make sure that everything you want to do, and everything that needs to be done, has been ticked off your checklist and you will not have to worry, stress and rush about doing last-minute preparations for when your family members arrive. « High Impact Vs Low Impact Exercise: Which Is Best For You?